The Northern Black Forest National Park starts at Baden-Baden and reaches its highest point at the Badener Höhe with 1002.5 meters. On a clear day, you can view to the Palatinate Forest and even to the Alps. A tremendous hurricane devastated large areas of these dark forests on December 26, 1999. All of a sudden nothing was like before …. When the first shock was over, people saw it as a chance. Large areas should from now on be left to nature in order to learn how nature copes with a severe damage. 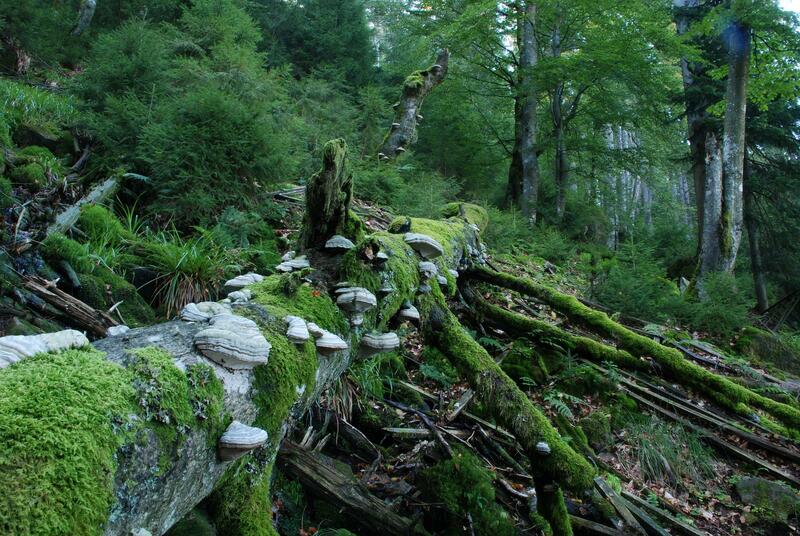 With an area of 8.578 hectars, Baden-Baden owns the largest city forest in Germany. The city contributed approx. 420 hectars to the Northern Black Forest National Park as it is geographically seen the entrance to the Black Forest. The Geroldsauer Mühle inhabits the visitors center for the Nationalpark Blackforest as well as an indoor market place and a typical restaurant. The restaurant as well as the shop have a strong focus on regional products. It is the largest wooden house in Germany constructed entirely with white fir. 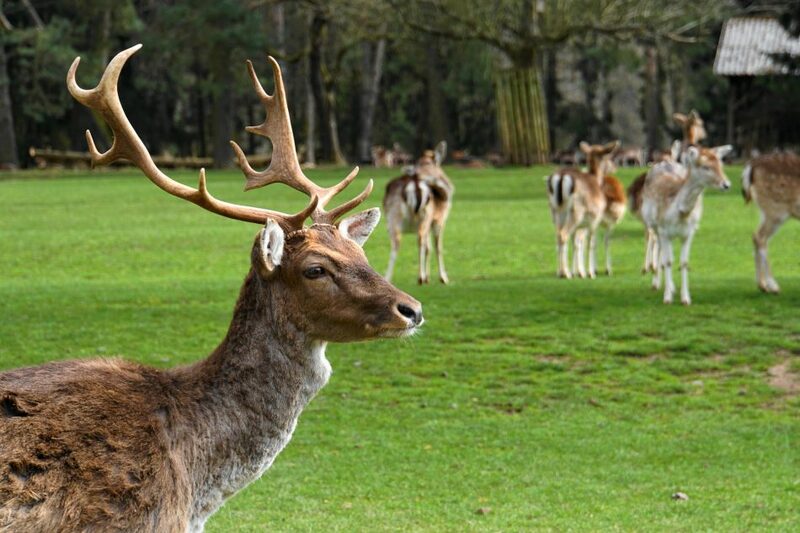 It is particularly worth mentioning the game enclosure on the Merkur local mountain, with families of mouflon, red deer, fallow deer and wild boar. When you are already at the Merkur, it is worth taking a ride on the Merkur cableway to the peak. You can enjoy a wonderful view from the top where paragliders start. After the hurricane left its vast devastation behind, the “Lothar-path” was built as a memorial and in the meantime became a living proof that nature had won at biodiversity. In 2014 the Northern Black Forest Nationalpark was founded since it was recognized how valuable these untouched areas are. 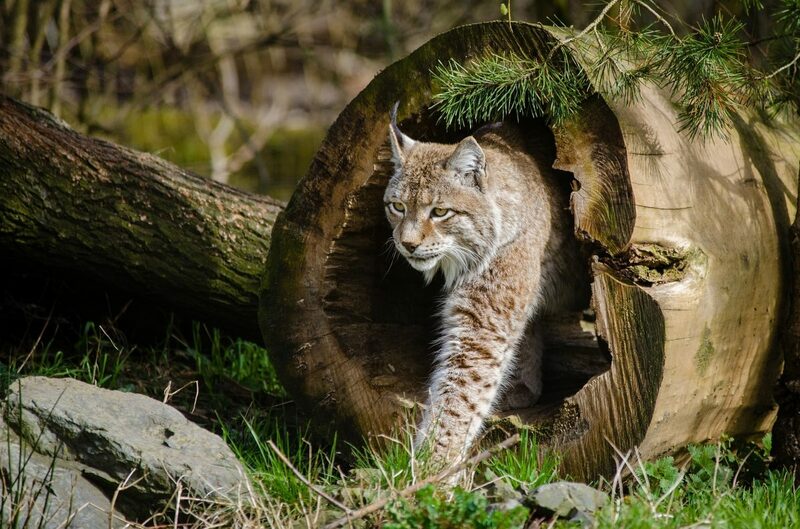 Like the wolf or the bear, the lynx definitely belongs to the Black Forest. Some lynxes already seem to be moving through the Black Forest and it is good hope that he will be able to settle again. In order to sharpen the senses for these once-eradicated species, the Lynx Trail has been established. An adventure trail leads about 4 kilometers and is intended primarily for families with children. “Sneaking – peeking – ears pointed” is the motto. Together with “brush ear”, as the lynx is also called because of its long, black hair tufts on the ears. One goes on winding paths, over rocks and narrow bridges through the former city forest of Baden-Baden. A total of twenty interactive stations make the Luchspfad (lynx path) an exciting experience. Young and old can watch, listen, sneak, jump and guess along the way. Highlights include telescopes with a view of possible prey, a funnel with animal sounds and a long and high jump system. After this tour you will surely have learned and experienced a lot. After the hurricane, the Lothar path first emerged as a memorial and now as living proof that nature has gained in biodiversity. Walkers, ladders and stairs give hikers insights into how nature deals with a devastated area. What settles first and what is the pioneer for subsequent plants … when will the first trees come back and what will the fallen giants serve? What sounds banal is actually an exciting experience over hill and dale. A viewing platform also offers beautiful views over the northern Black Forest and the valley towards Oppenau and Ottenhöfen. For nature lovers the Nationalpark Visitor Center provides exciting information and documentation about the Black Forest. Magnificent hikes can start from here; the adventure paths are in close proximity.